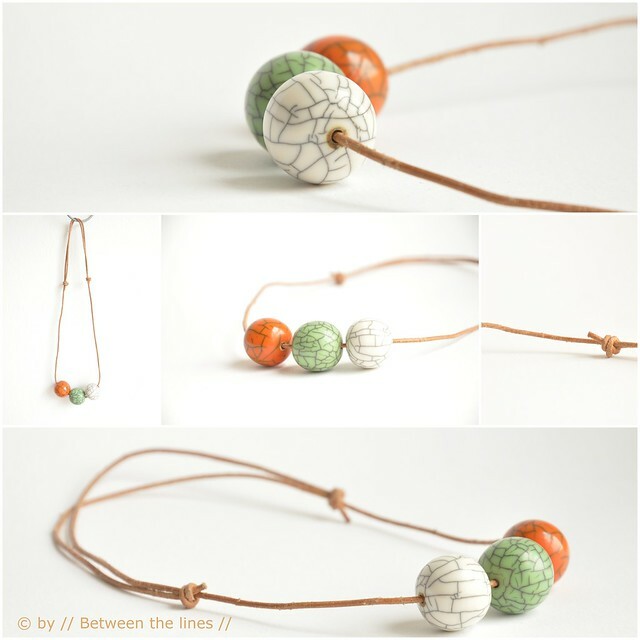 Necklace: leather cord with resin beads, finished with two sliding knots - all supplies from De Banier. We're back from a long relaxing summer. It wasn't a very crafty one but a fun one for sure. Two more days to get back in school modus. Hope you had a nice summer too!